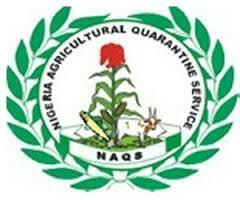 The Nigeria Agricultural Quarantine Service (NAQS) is set to surpass the $35 million revenue generated in 2017 from the export of hibiscus flower to Mexico. Vincent Isegbe, the coordinating director on Tuesday said the country exported 1,983 containers of hibiscus to Mexico alone in nine months of that year in a monitored report, noting that the export was suspended following the detection of storage pest in some consignments from Nigeria. He pointed out that Mexico is the largest importer of Nigerian hibiscus. “Nigeria is ready to resume export of the plant to Mexico. In a couple of weeks, we will resume shipments. Our farmers are eager and the fields are near ready. The harvest season of hibiscus will start any moment from now. And the good news is that Nigeria has a vast growing belt, with harvest available all year round. We need to take advantage of this opportunity to earn foreign exchange for the country and support the present administration’s diversification of the economy,” he said. It is a genus of flowering plants that can be sourced in some states such as Jigawa, Kano, Katsina, Gombe, Bauchi and Borno. Locally, the price ranges between N7,000 to N10,000 per 25kg.